Moz Designs, based in Oakland, California has been showcasing their architectural metallic designs for over 20 years. They specialize in customized metal furniture and fixtures made from 80% post-industrial recycled aluminum. 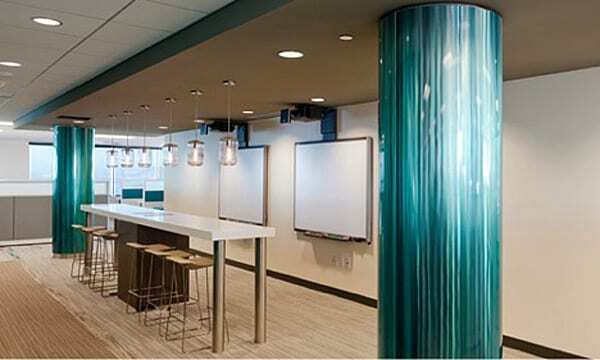 Their vision offers a futuristic metallic flair to businesses and modern homes. 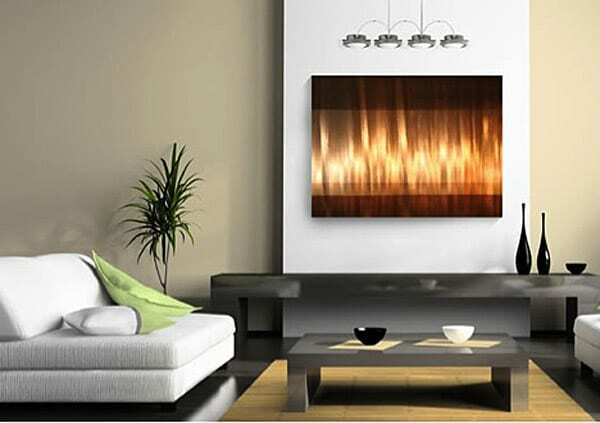 Their beautiful wall art fixtures will easily open up a world of modern design to anyone wanting to take their modern home to the next level. Go big with large scale wall fixtures, dividers, and columns or go small by adding some of their metallic beauties as wall art. Many of these metal fixtures evoke organic visuals like water, fire, smoke, and light. You can install them yourself or have them installed for you. Moz Designs are a work of art and there are so many metallic colors and patterns to choose from. 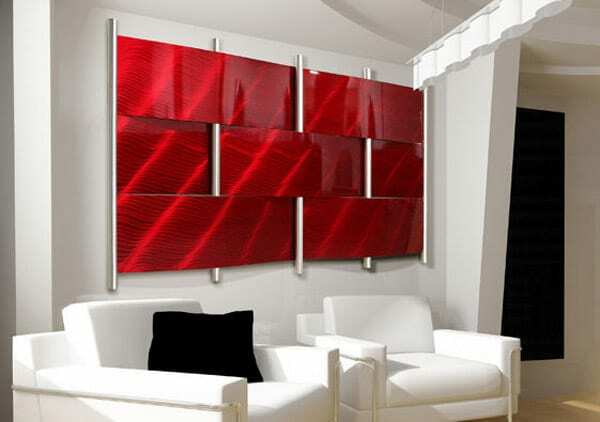 These curving and sloping aluminum panels give your wall or surface depth and interest. They have a relaxed and open feel about them. They fill open space nicely while giving a room an edgy industrial look. The Weave Wall is similar to the Tides Ocean Waves except that it goes even further by weaving the sheets of aluminum to form a more textured look. Pair with sleek and monochromatic furniture for a modern design. Do you have unsightly columns that fill your home or office? These aluminum round column covers could be just the thing to make a not so flattering column look chic and intentional. All of these options come in many different types of colors, grains, base materials, and finishes and are fully customizable to fit your home or business. 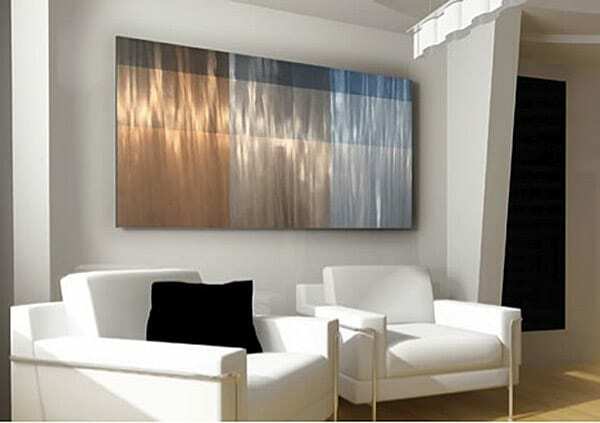 The Mondrian Collection are grid grain color blocks that can be used as wall art. The color blocks are inspired by Dutch Painter, Pier Mondrian. These can be featured in a number of different types of rooms from a living room centerpiece to a home office focal point. 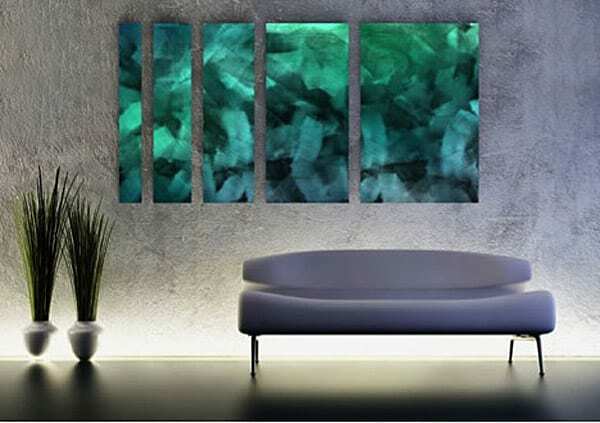 They are perfect for an office but would be stunning in a modern home as well. You can purchase a single piece or use multiple color blocks to create one cohesive design.